Try the live bait sliders from Veals. I’ve had a lot of success with them. I use 200lb mono for hook-lengths and 8/0 circle hooks, hooked through the back under the Dorsal fin. Make sure there are no Seals around and back off the drag on your reel. The takes can be pretty savage. wobbler72 wrote: Try the live bait sliders from Veals. I’ve had a lot of success with them. Do you prefer mono to wire trace if so why? I use both, depending on where I'm fishing. Mono is more flexible and, with circle hooks, there's a limited chance of being bitten off. Good for Conger and Huss too. I use double crimps rather than knotting it. Smaller, neater and if you leave a small loop, the hook is freer to move with the bait. Well done on your PB Dyl. Very resident eel. Live baiting is the way to go for the big fish. 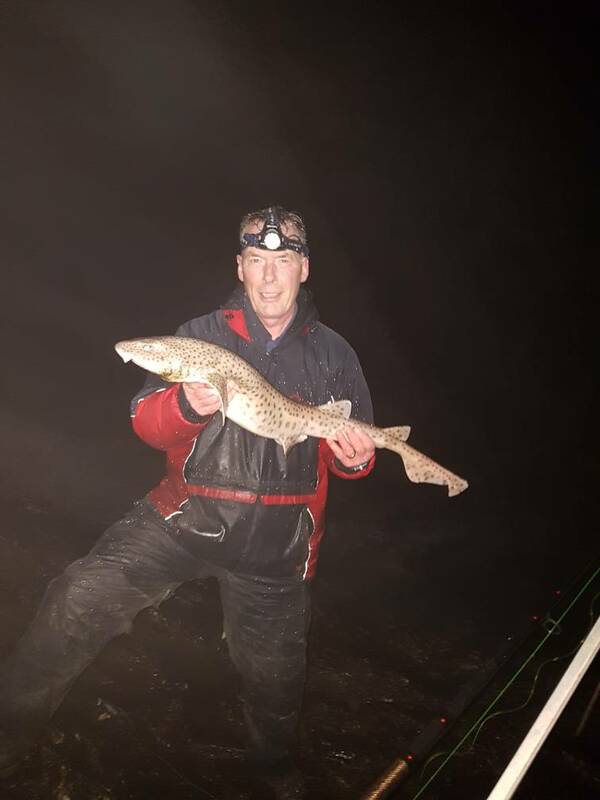 Used to fish a mark in South Wales for eels at night off rocky ledges. Not a great depth but put a small rod out for pouting then used these as live baits. Had a few eels over 20lb this way with the biggest 34lb. Sciatica has scuppered me at the moment but next year planning a bash for shore caught tope from the Lleyn.